What a love story! It was 1986, she was a cute blonde singer and he was a brooding, shy guitar player. They met on a Youth For Christ touring ministry team, fell in love, got married and have been in full time ministry ever since! The Lord did something special in our hearts on that team in 1986 that sealed us for ministry for the rest of our lives. We had a passion for Jesus, for His kingdom, for music and for young people that set us on our ministry path forever and what an amazing ride it’s been. We worked with YFC for 8 years running youth ministry and outreach concerts and learning so much about how to survive in ministry. When it was finally time to move on we helped to found NZ’s first ever christian performing arts school. Having never formally trained in music ALL of this meant learning, un-learnng and re-learning! We definitely learnt the hard way. We learnt from the text books AFTER learning from experience. We learnt how to teach from teaching SO many different people with different learning styles. And all of this gave us a passion and a solid skill base for training and equipping. That’s when we went out on our own and ran our first business, producing music independently but our real passion was running church worship seminars. With the help of friends who supported us we were able to serve the church in NZ widely for the next few years until a ‘client’ named Parachute Music came and asked if we wanted to help form a worship team for a combined church event. What began there carried on into the next 10 years recording and representing NZ written worship songs around the world as the Parachute Band. We LOVED that season - touring, leading worship, training and equipping, meeting so many great people in great churches and ministries around the planet. What an incredible privilege and honour that was! And it lead to an amazing season of growth as we became itinerant, leading and training especially at our home church of Equippers Church Auckland. Equippers has been our home for over 25 years and we’ve always stayed connected and serving as much as we could, even while touring, so it was an honour when we finally came off the road to be ordained and join the pastoral staff in 2007. 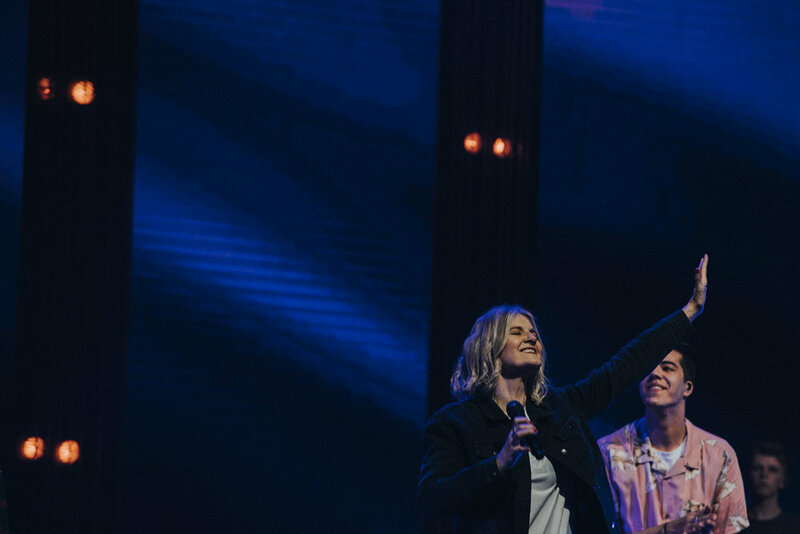 The next 7 years saw much itinerant and local church ministry as we helped train, equip and lead worship and worship teams all around the world, but home was indeed the prize. So it was at home, where in 2014, we launched Equippers Creative Lab, our discipleship school for Creative Christians. We love seeing this generation trained in creativity and craft, but more than that shaped for Christ and His kingdom! To this day, we have a heart for local church, worship ministry and equipping and mentoring the next generation. We love to preach, teach, make music, write, and pastor! Our Worship Leadership Master Sessions course is 3 days and 2 nights of carefully crafted MASTER sessions where we get to go deep and share so much of our experience as well as principles and lessons we’ve learned from both our fails and wins over 30 years of full time ministry. When we only have one or two days with a team we barely get to scratch the surface of what to takes to grow a thriving worship and arts ministry so with these sessions we aim towards LEADERSHIP training. Not just the goods but how to TEACH and grow the goods! We’ve packed these days with a blend of preaching, teaching, heart inspiration, critical thinking and practical tools and demonstration. The feedback we’ve had from these sessions has been nothing short of phenomenal. Session 4 Make your band sound GREAT with these easy tools! Session 8 Making the most of Production and Technology. Session 9 Arranging all those musical moments in church.